The average rate of batch failure in biopharmaceutical manufacturing had improved steadily over the past decade, but now a related metric, batch success, appears to have plateaued. Batch failure may even be a growing problem in some instances. This departure from the established trend was detected by BioPlan Associates, which recently presented its findings on batch failures and other issues in its 13th Annual Report and Survey of Biopharmaceutical Manufacturing Capacity and Production. Based on this year’s survey, which incorporates responses from 222 qualified biopharma industry executives, BioPlan Associates estimated that batch failures from all sources occur at facilities every 51.3 weeks, or about once every year. This figure represents an increase in batch failure frequency from last year’s study, in which batch failures were found to occur about every 60 weeks. In fact, it is the worst result since 2010, when batch failures were estimated to happen every 50.9 weeks. Contributing to the worsening of the batch failure rate this year was a jump in the percentage of respondents who experienced their most recent failure within the prior 7–12 months. Meanwhile, fewer respondents (20.5%, down from 31.3%) indicated that their last failure had occurred more than two years ago. Still, this year’s result remains an improvement from our data from 2008, in which failures were experienced every 40.6 weeks. Over time, we have seen facilities manage their manufacturing by implementing several methods, ranging from improved process design to more robust equipment, the resolution of supply chain issues, and increased implementation of process monitoring and PAT. As part of its report, BioPlan Associates investigated the primary causes of batch loss at both commercial and clinical scale. The firm found that contamination was responsible for about 2% of batches being lost annually at commercial facilities, making contamination the chief culprit at the commercial level (Figure 1). This was closely followed by equipment failure, and then operator error and failure to meet specifications. Cross-product contamination led to losses of just 0.4% of respondents’ batches at commercial facilities. The rankings were different at the clinical scale, though. At this scale, equipment failure was the top culprit, leading to losses of 2.963% of batches annually. Contamination was next, whereas failure to meet specifications was a bigger problem on the clinical scale than operator error. Interestingly, cross-product contamination was the only primary cause of loss with a bigger impact at commercial than clinical scale. Still, albeit a small effect this year, there has been a downward trend in recent years of batch losses at the commercial scale owing to cross-product contamination. This is likely the result of the emergence and industry permeation of improved operator procedures, the expansion of single-use technologies, and the advance of other developments that help reduce cross-product contamination. Indeed, separately in our report, respondents cited the decreased risk of product cross-contamination as their most common reason for increasing use of disposables. 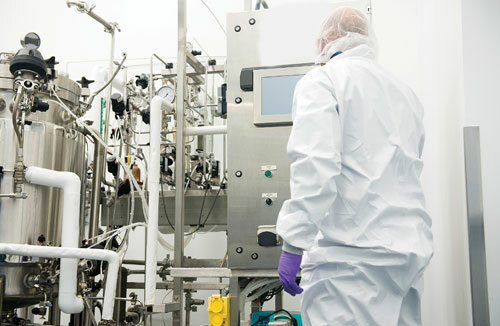 Failures—particularly at the commercial scale—are extremely costly, resulting in lost sales, a redo of bioprocessing, studies to satisfy regulators, and other such problems. So while the batch failure rate is still better than in 2008, the recent increase in batch failure frequency does give pause. Although few respondents this year blame quality problems on vendors’ poor product quality, this is an area worth keeping an eye on in the year to come. Figure 1. Average rates of batch failure by primary cause and phase of manufacture, according to BioPlan Associates’ 2016 survey.